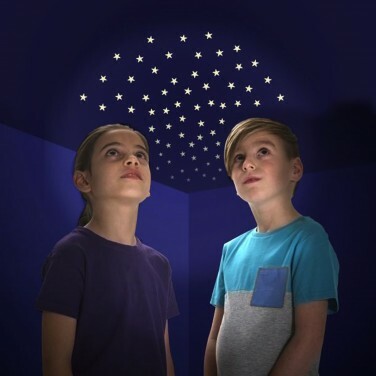 Create stunning constellations of glowing stars that shine night after night. A pack of sixty glow in the dark stars to create a whole glowing galaxy in your child's room. 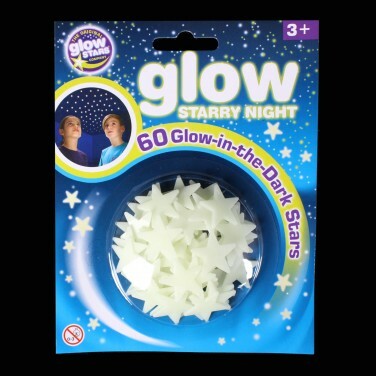 Ideal for use on walls or ceilings, these glow stars come with self adhesive pads for easy application and make a fantastic room decoration. Add a little wonder to bedtime with a cosmic glow and send little ones to sleep under a ceiling of stars! Get creative with 3D glow in the dark stars that can be suspended from your ceiling. Pretty in pink, this pack of glow stars creates a lovely night sky in your child's room adding a little magic and extra reassurance at night.